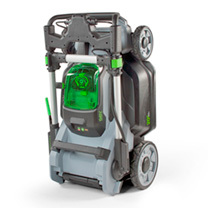 Cordless lawnmower - 19" mower with LED headlights. 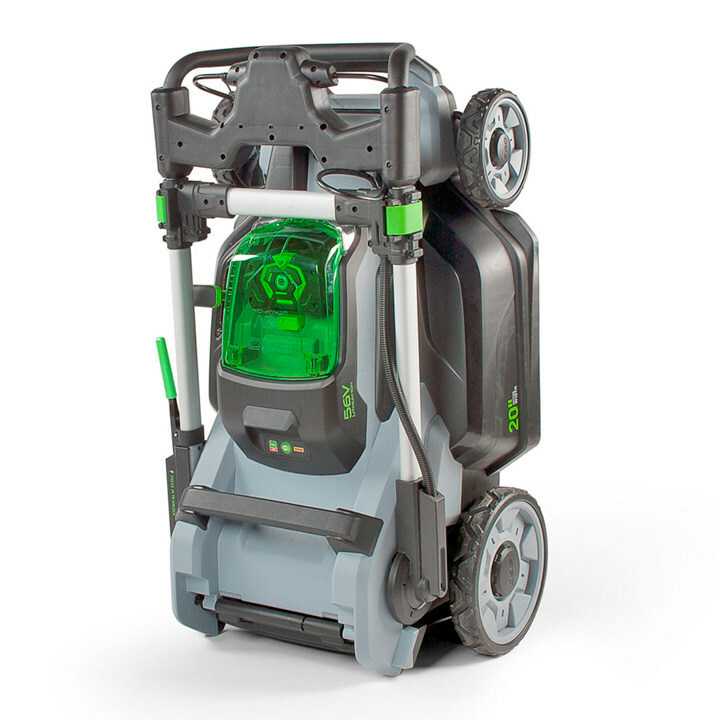 The compact, foldable design makes storing and cleaning the mower more convenient than ever! 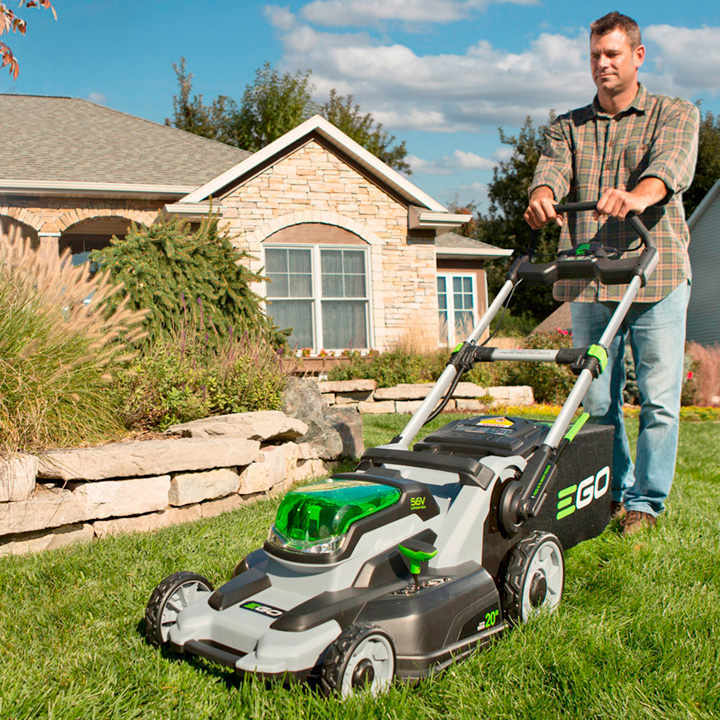 Push Button Start - The EGO POWER+ 56V Lithium-ion cordless lawnmower has a convenient push-button start which means no more pull cord. 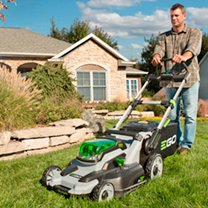 This mower starts easily and safely at the press of a button. LED Headlights - Lawnmower has the added feature of LED headlights. The headlights allow for mowing anytime. Height Adjustable Handle - Adjustable cutting heights ranging from 25mm for a superb low finish, up to 80mm for tackling longer grass.